The Alamo Mission in San Antonio, commonly called the Alamo and originally known as Misión San Antonio de Valero, is part of the San Antonio Missions World Heritage Site in San Antonio, Texas, United States. Founded in the 18th century as a Roman Catholic mission and fortress compound, it was the site of the Battle of the Alamo in 1836. 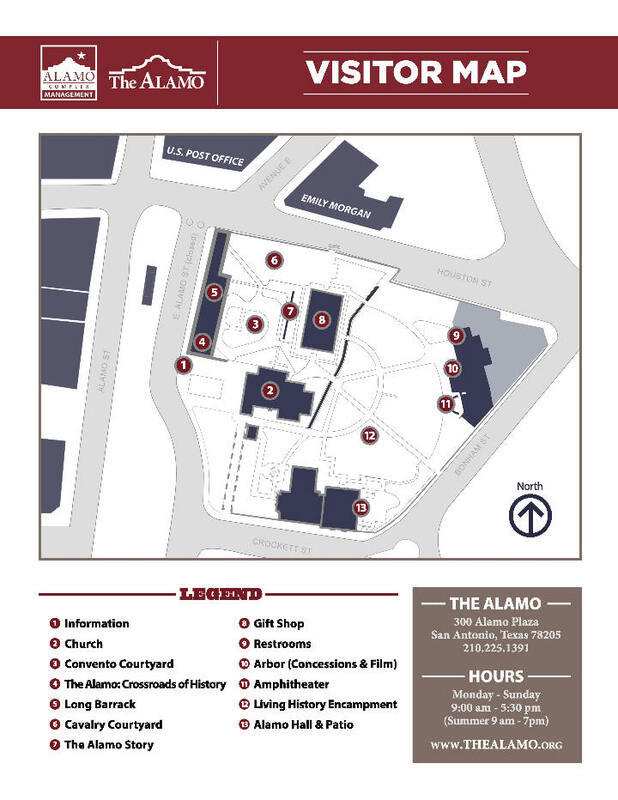 The Alamo is now a museum in the Alamo Plaza Historic District. The compound was one of the early Spanish missions in Texas, built for the education of area Native Americans after their conversion to Christianity. In 1793, the mission was secularized and then abandoned. Ten years later, it became a fortress housing a military unit, the Second Flying Company of San Carlos de Parras, who likely gave the mission the name Alamo. During the Texas Revolution, Mexican General Martin Perfecto de Cos surrendered the fort to the Texian Army in December 1835, following the Siege of Béxar. A relatively small number of Texian soldiers then occupied the compound for several months. They were wiped out at the Battle of the Alamo on March 6, 1836. When the Mexican army retreated from Texas several months later, they tore down many of the Alamo walls and burned some of the buildings. For the next five years, the Alamo was periodically used to garrison soldiers, both Texian and Mexican, but was ultimately abandoned. In 1849, several years after Texas was annexed to the United States, the U.S. Army began renting the facility for use as a quartermaster's depot. The U.S. Army abandoned the mission in 1876 after nearby Fort Sam Houston was established. The Alamo chapel was sold to the state of Texas, which conducted occasional tours but made no effort to restore it. The remaining buildings were sold to a mercantile company which operated them as a wholesale grocery store. After forming in 1892, the Daughters of the Republic of Texas (DRT) began trying to preserve the Alamo. In 1905, Adina Emilia De Zavala and Clara Driscoll successfully convinced the state legislature to purchase the remaining buildings and to name the DRT as the permanent custodian of the site. Over the next century, periodic attempts were made to transfer control of the Alamo from the DRT. In early 2015, Texas Land Commissioner George P. Bush officially removed control of the Alamo to the Texas General Land Office. Bob built a pair of boots, 40 feet tall and 30 feet long, to fill the space. They were promoted as the World's Largest Cowboy Boots, even though they were probably not. "In those days there weren't any books or web sites like yours," Bob said. "I wouldn't have believed there was a pair any bigger." 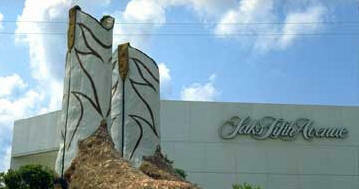 After a year the boots left DC and moved to the North Star Mall in San Antonio. "Back then it was kind of a ratty mall," said Bob, "and one day they called me and said, 'Mr. Wade, your boots are on fire.'" They were not; it turned out that a homeless man was living in one of the boots, cooking his dinner with Sterno, and using the shaft as his smoky chimney. "I don't know how long the guy had been in there, but they probably should have left him," said Bob. "It would've been a great attraction." Take a glimpse into Victoria’s vast architectural history on the Old Victoria Driving Tour! 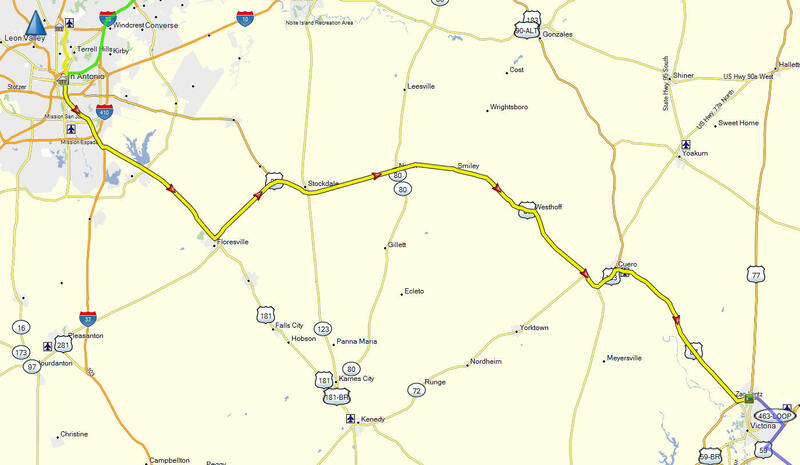 The self-guided trek features over 80 homes and properties, many listed on the National Register of Historic Places. Guides are available at the Explore Victoria Visitors Center at 700 N. Main St. Ste. 101. *NOTE: Many of the homes are private residences, and are not available for interior viewing. 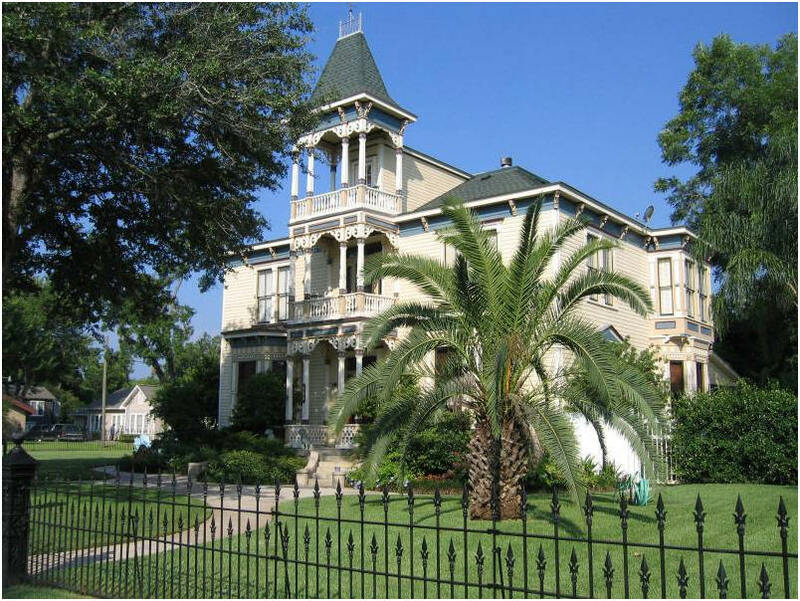 For a list of driving tour properties that are open to the public, please contact Explore Victoria Texas at 361-485-3116.